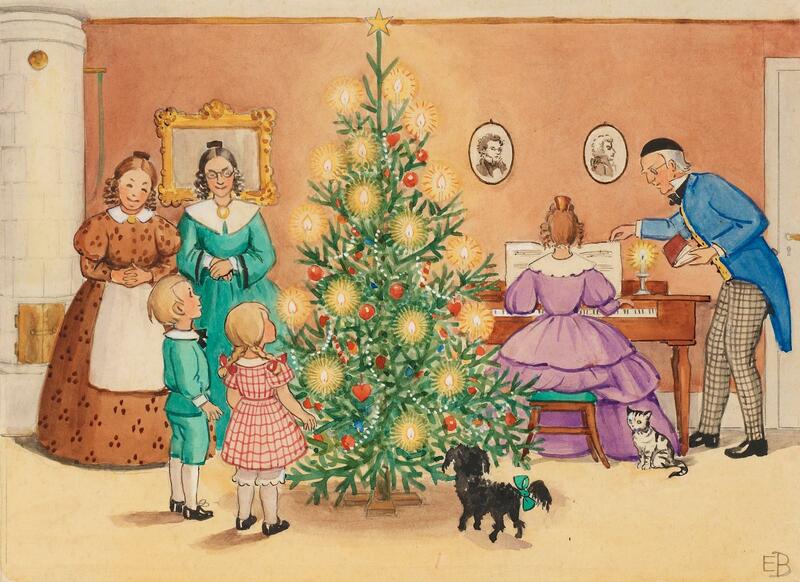 Elsa Beskow illustration: Petters och Lottas första julafton hemma hos Tanterna. 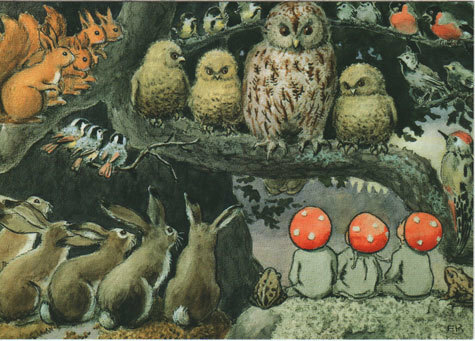 (Elsa Beskow (1874-1953)(b)was a Swedish illustrator whose work has delighted children and adults for more than a hundred years. 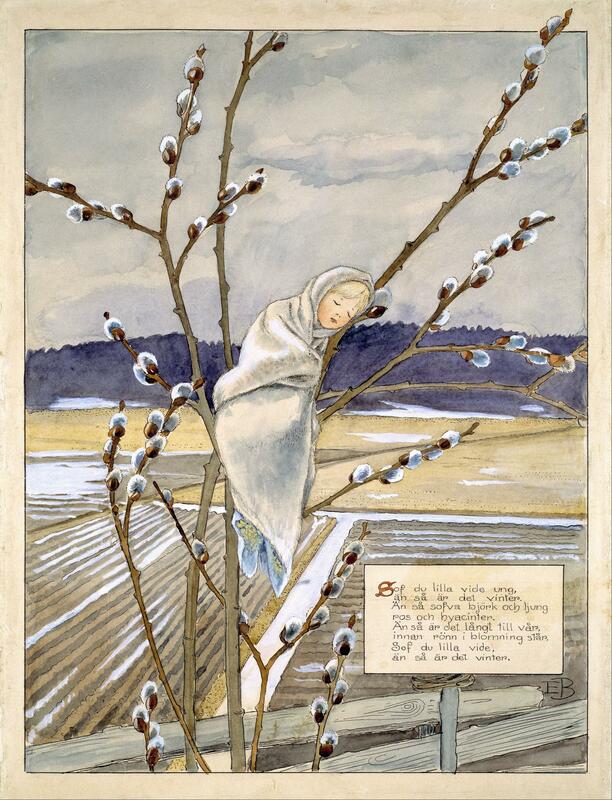 Her books as still in print and there is even a 2019 Elsa Beskow available. 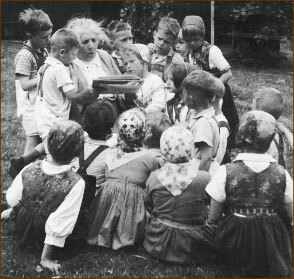 She specialized in the combination of nature, particularly anthomophized nature such as flower people and animated mushrooms, and children. Her bright colors and charming scenes and activities make her popularity very understandable. We at the Laughing Elephant have long been a fan of her work, and have used her work a number of times over the years. 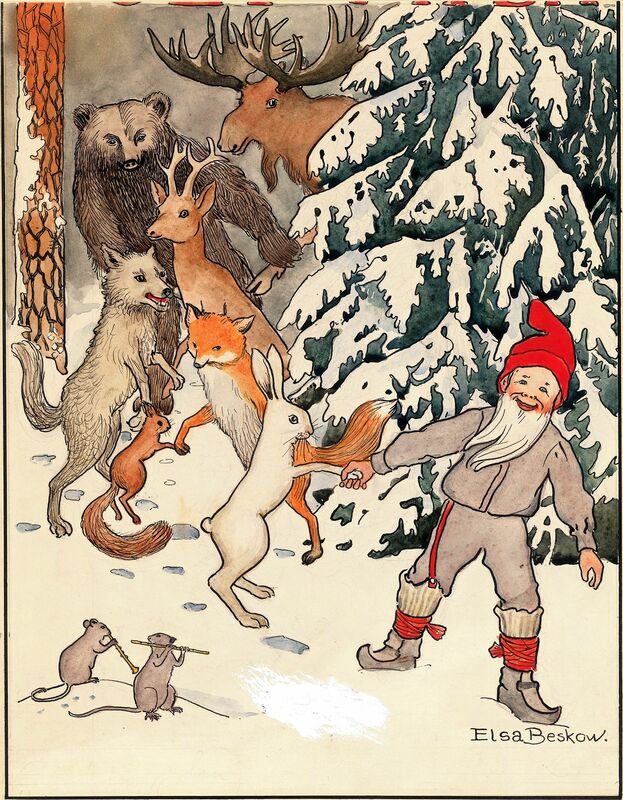 She was often called the Beatrix Potter of Scandinavia because of her popularity with children and her use of animals as characters in her illustrations. 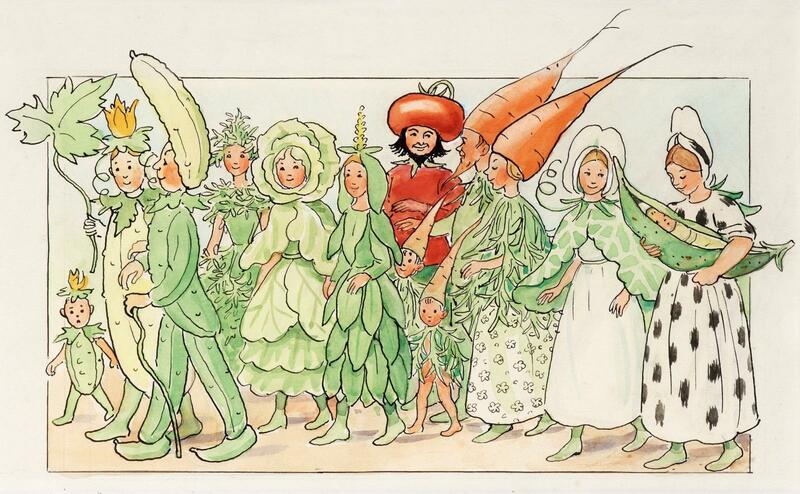 Elsa Beskow illustration from "Fest i potatislandet"
As Elsa was growing up, the Swedish women's movement was growing in strength, a cause supported in Elsa Beskow's home. Her upbringing was liberal and she was raised to stand up for her ideals. 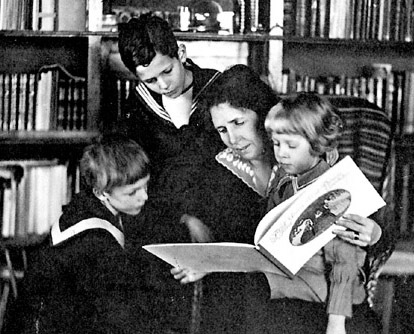 These values are reflected in her children's picture books. The Flowers' Festival, from 1914, argues for freedom of speech for everyone, and some suggest that Mrs Chestnut, in her loose-fitting dress, is depicted as pregnant - a daring thing to do at a time when the middle classes were of the view that pregnant women should be kept out of sight. 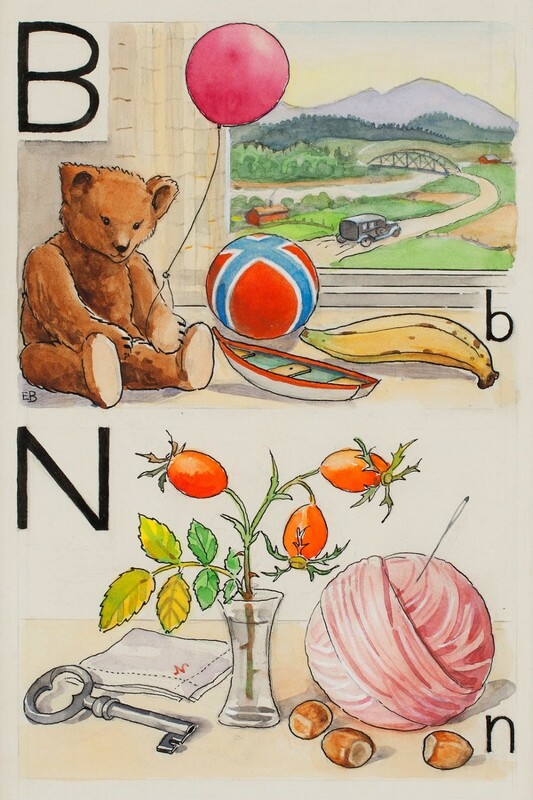 Elsa Beskow's aunts and uncle, with whom she lived, had progressive views of parenting and education, and they began a school where children learned through games and enjoyment and with focus on understanding what they studied. 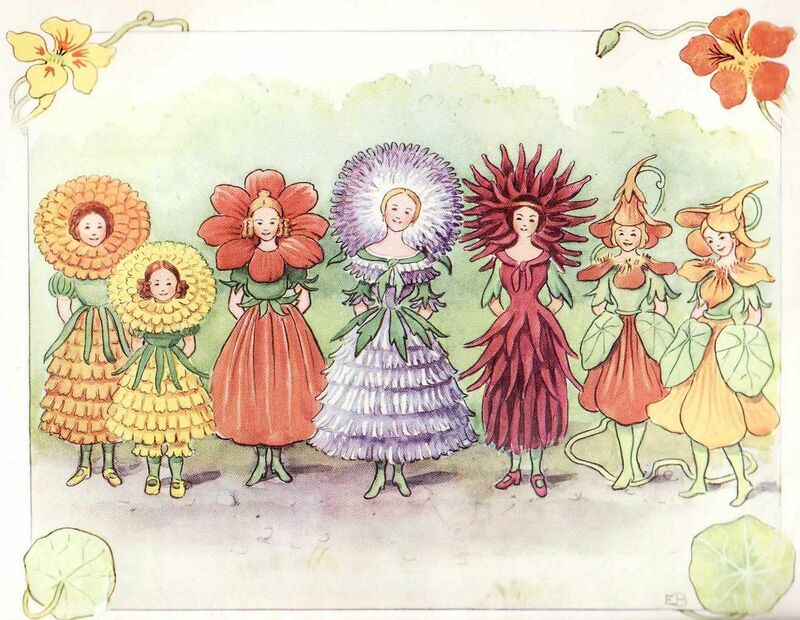 Elsa Beskow appears to have been affected by these views. In the story of Doktor Klokamundus (Doctor Clever Cloggs, in Muntergök 1919), the invention of a learning machine can be seen as a critique of the established school system where the method of teaching was forcing information without consideration of comprehension and effective learning.